We have all wondered what Big Brother was all about. What a government controlling and manipulating every single thing we do would look like; from going to work, to eating, to procreating, to breathing. Would it turn out to be something close to an army of ants? Obeying to one queen. Working like robots with a strict routine on a daily basis. Assuring the basic needs for the common and greater good. Famous author George Orwell brilliantly imagined a future that no man wishes to live in. Not only did he take on the burden of fancying a future completely plausible and at the same time dystopian, he also manages to create a tale that portrays an idea bigger than man. A timeless idea that even today we are able to pinpoint its fundamental premises throughout our current way of life. Written in 1949, Nineteen Eighty-Four (1984) is a dystopian novel that follows the adventures of Winston Smith. Working for the Ministry of Truth in London, chief city of Airstrip One, he starts to question the totalitarian regime in which he is plunged in. Under constant surveillance thanks to telescreens and the Thought Police, Winston winds up falling in love with a woman who seems to go against the principles of the Party. He then sets sail on a journey where he gradually questions his life. Getting the reader’s to indulge a future where expression and freedom aren’t even luxuries but taboos, this novel grabs you by the throat and gets you analyzing one of the most feared regime’s a government could set in motion. What would it be like when the beauty of words and the gift of being able to define with so much accuracy everything you feel and dream were all taken away from us? Taken away from you only to increase the leader’s power and control on the population. Taken away from you only to disarm the people’s greatest strength?This novel got me reflecting on the small things that we take for granted every day of our lives. Ingeniously executed, George Orwell wrote one the most intriguing and captivating story. He manages to make me read pages and pages of his story with my eyes widely opened and jaw dropped. One could say it’s a lot of praise for this classic novel, but I personally adored this novel. The story is written in a way to keep you engaged to the protagonist’s thought process in a way that makes you want Winston Smith to acknowledge the terrible things that the Party is taking away from the people. SPOILER HERE: Hover over text to read. The world in which the protagonist lives might seem improbable and impossible to imagine in the near future, but George Orwell describes the universe so meticulously, without sinking us in boredom or skepticism, that everything seems so tangible. A lot of readers saw that the whole plot can almost be seen figuratively and can be perfectly applied to our current society. From propaganda, to media information manipulation, to governmental control, several ideas portrayed in this novel can easily be translated to our reality. I wouldn’t go on to say that we are naively living our lives in a totalitarian regime (speaking on behalves of our fellow Americans and Canadians). This book definitely shows us exactly what the people need to avoid. What the people need to acknowledge in order to prevent a future ridden of freedom of speech, thought and action. Really well executed story, George Orwell also does a great job with characters. Winston Smith is one of those characters that you want to follow throughout all his adventures. He’s the protagonist that George Orwell builds up in order to convey absolutely deep messages. Not only does Winston slowly gain the courage to defy authority, he loves anything that brings chaos and any form of vice to an incorruptible and ideal government. He’s a character that grows as the story progresses and never seems to be stagnant when it comes to his reflection on his life. In fact, this love for revolution is also shown in its most primal forms; he falls in love with Julia, a “rebel from the waist down”. SPOILER HERE: Hover over text to read. Another excellent character is O’Brien who appears as a member of the Inner Party and also a member of the Brotherhood (behind the group that represents everything opposite to the Party). The story that builds around this character will only awe readers and reveal a very interesting speculation in this novel. SPOILER HERE: Hover over text to read. Even secondary characters who only exist to accentuate and promote ideas George Orwell wants to convey are brilliantly inserted and absolutely interesting. SPOILER HERE: Hover over text to read. There are several ideas that George Orwell touches upon and does an amazing job at slipping them smoothly into Winston Smith’s story. One of the most interesting subjects that he touches upon in order to make sure that manipulation and control is thoroughly represented throughout the novel is speech. 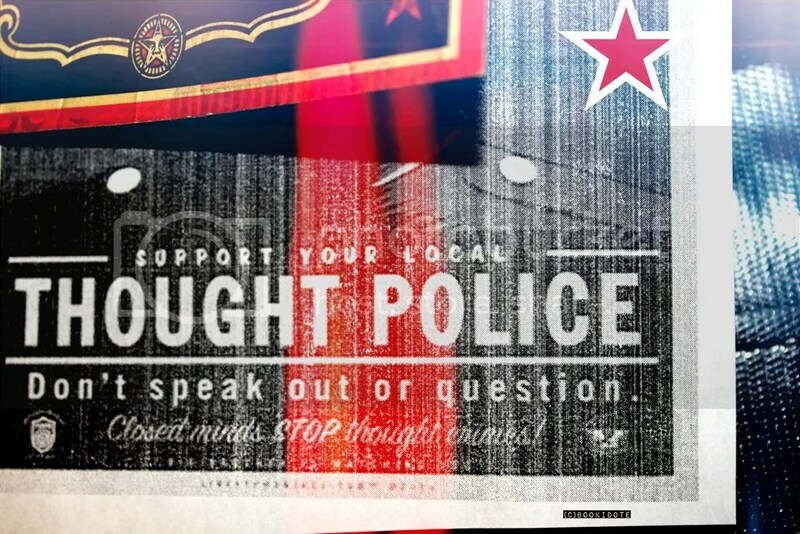 Doublespeech, Thoughtcrime and Newspeak. Giving you, the beloved followers and random passersby, the chance to read this novel for yourself, I won’t discuss their meaning and objectives, but what I still want to point out is how much power words can have. My girlfriend would constantly remind me of her love of words and how much they single-handedly have the power to decimate a whole population. Propaganda is by itself a perfect example of what words can do. Remember World War II? Manipulating words can do great good and even greater evil in society. Revolution is another example of what words can do. The power to convey your opposition and disagreement. The power to use the very words you’ve learned to turn a regime upside down. But that’s where things get interesting. What happens when you don’t have the words to express your thoughts? What happens when it suddenly becomes nearly impossible to express your feelings and to put a word on every single little thing imaginable? What happens when you’re limited and restricted in what you can say? This is what George Orwell played on. This alone was an amazing asset to the novel and got me in love with this book. The past, the present and the future. Those concepts wield the strength to build a society in which we want to live in, but also to destroy one. Throughout the novel, you get to see Winston’s tasks at his job. He mainly focuses on changing key pieces of literature, notably journals, in order to satisfy the Party’s objectives. He’s also brought to destroy pieces that comes to contradict anything the Party is planning or has in store for its population. This solely brings us to question the veracity behind facts. If you can easily manipulate the past and can also do the same to a person’s mind, what is therefore real to them? In fact, the second quote in this review shows how much of an impact history has on our present and future. It’s only once the Proles (the population that isn’t part of the Party, which is almost 80% of them) become conscious that they can rebel against the tyrants, but even once they have rebelled, they cannot become conscious since every piece of history that was changed by the Party is false. Therefore, there’s no way for the population to re-establish what they once had. To become a society fully aware of its history. To get back what they were stolen of. The notion of time and history has been portrayed through this book as an important treasure capable of playing a huge factor in power. It truly hit me hard and made me adore this book more than I thought I would. 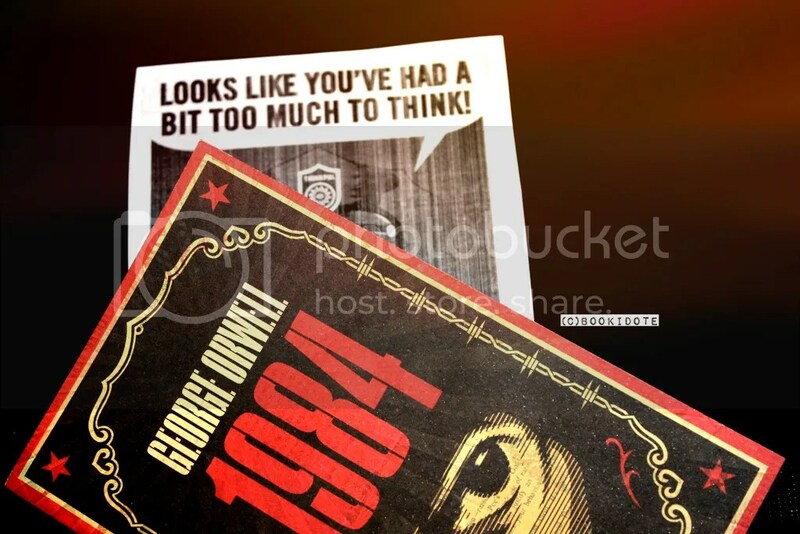 Nineteen Eighty-Four should be read and reread and reread again. It contains so many ideas that helps us rejoice on the freedom of speech we’ve got. It helps us enjoy words for that they bring to our lives. This novel belongs in every household and also hides an amazing story worthy of your time. If there’s a book that is capable to make politics and basic rights absolutely interesting subjects, it’s this George Orwell’s masterpiece. Magnificently creating a society living in totalitarianism that would scare the pants off of any free man at this age and time, this book depicts beautiful ideas through an amazing story. If you haven’t, I definitely suggest you to get yourself this novel for an amazing read. Buy yourself Nineteen Eighty-Four through this hyperlink ! Have you read this novel? 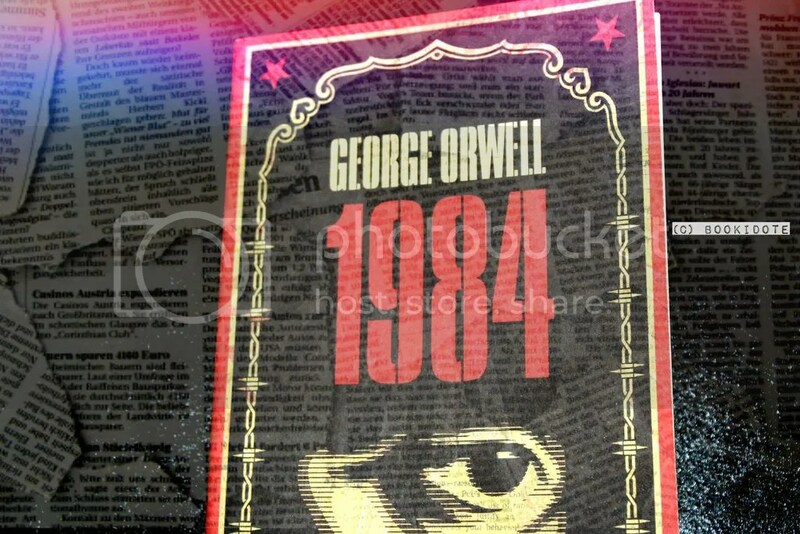 What did you think about George Orwell’s classic? Share your thoughts with us and this review with the world! An intelligent and passionate review. We can’t ask for more than that. It is so long since I read the book that my memory is not as clear as yours, but I, too, couldn’t put it down. Thank you so much for the kind words, it really means a lot ! I try to pour my heart into everything I write since everything I read have author’s doing the same. 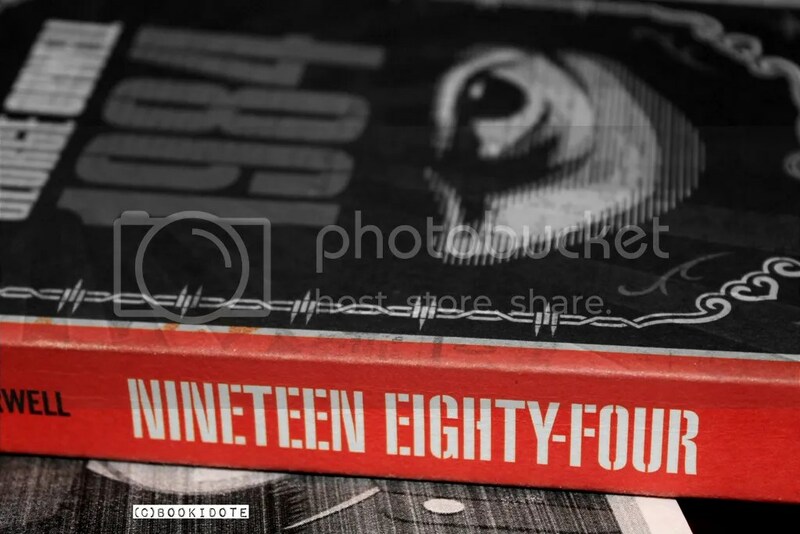 The novel is pretty old and I couldn’t blame you for not remembering every little detail in it, but one thing’s for sure: Nineteen Eighty-Four is a gem worth having and a timeless piece of art. Thank you so much again for taking your time to read our reviews and to share your thoughts with us, it’s really appreciated ! Thank you both for the nomination. I am grateful to receive it, but really can’t do justice to the rules. This is because I write a daily post myself and read every one I follow, commenting if appropriate. That is enough for me. That’s what Big Brother is hahaha. I’ve never read this book and never get this reference! Really nice review , so much details and I always have a big pleasure in reading your reviews ! Awesome review! I straight-up love this book, even if it did lead to the cliche of referring to a government that you don’t agree with as a “Big Brother” (Which I’ve admittedly been guilty of, recently). Wonderfully comprehensive review! I am definitely going to pick this one up now… I’ve been putting it off for a while, but dystopian novels are kind of a weakness for me, so I’ll be reading this soon. Thank you so much for checking out my blog! That was a great review and so insightful and deep as you get deeper into the book. I read this book so long ago, maybe it’s time for another read, lol. Great review, really summed up all my love for this book. I think my favourite aspect of the story was when O’Brien gives Winston the book that explains Big Brother’s methods. I found the War is Peace algorithm extremely interesting. The method of sucking up resources to keep the poor, poor and the stupid, stupid is a method I think we still see in today’s world. It’s obviously not as blatant as in 1984 but the undertones are present throughout. I still rate Orwell’s Animal Farm above this one slightly but both are great books.